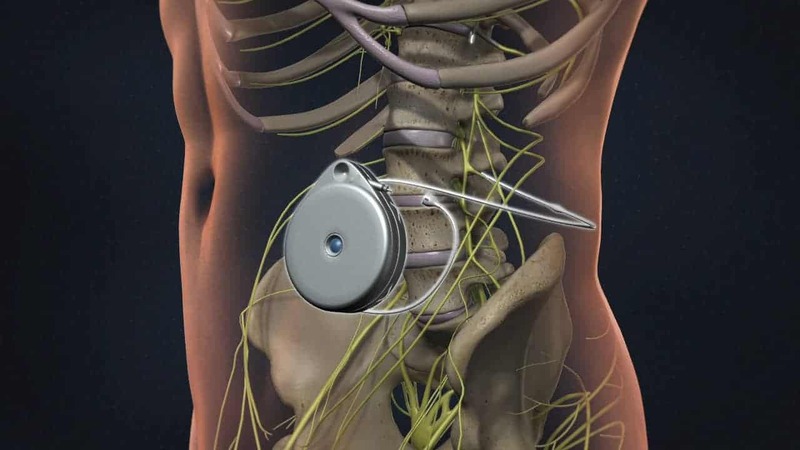 Intrathecal infusion pump are implanted delivery devices which deliver one of several drugs to the spine. There are several pain control receptors on the spinal cord and these medications work directly on these receptors to block pain. ITP therapies represent one of the two types of invasive neuromodulation used as a treatment for chronic pain. It is used to deliver medications directly to the spinal cord. When all other therapies fail, then intrathecal infusion therapies are considered. Because one drug tends to work on only one type of receptor, multiple drugs may be used in the pump when necessary to act on more than one receptor simultaneously. The most commonly used drugs are morphine and hydromorphone which act on the narcotic receptors in the spine to block pain. Other drugs used are local anesthetics which attaches to a different receptor, Baclofen which attaches to another, and clonidine which attaches to yet another receptor. Most of these drugs have a much higher concentration in the spine than in the brain leading to less side effects compared with oral or transdermal drugs. In the treatment of cancer pain, intrathecal pump therapy is sometimes the only possible way to provide pain relief without making the patient so looped on narcotics that they are a vegetable. Intrathecal therapies permit cancer patients to be more lucid and spend more quality time with their family at the end of life, and have been demonstrated to prolong life by up to several months. Consult Spinomax Pain & spine Center to find out if you are right candidate for intrathecal pump.